HOUSTON, TX--(Marketwired - June 06, 2016) - Pinnacle, one of the nation's leading multifamily management firms, announces that Chad Christian joined the company as a regional property manager to oversee a portfolio of five apartment communities totaling over 1,781 units in the Houston metropolitan area. Christian reports to Regional Vice President Terry Henry. "Chad has a great approach to customer service, a proven record as a team builder, and an intense focus on driving NOI for property owners," said Henry. "He has worked with some of the industry's best teams and we are excited that he will be bringing that experience to Pinnacle." Since the beginning of his career in 2000, Christian has been on the rise within the industry. He most recently worked for Winthrop Management managing Class A and B properties which included, tax credit, value-add, and REITs as well as assets in need of renovation. Christian also brings experience from other leading industry firms such as Harbor Group Management Company, Riverstone Residential Group and Orion Real Estate Services. The thoughtful care that Christian exemplifies in his work is also demonstrated in his commitment to education in the industry. Active on the local, state, and national levels of apartment associations, he serves on the Houston Apartment Association Education Advisory Council and is a Houston Apartment Association Better Government Fund Steering committee member. 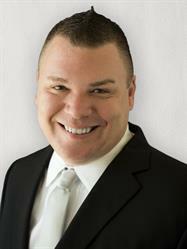 He is a Certified Apartment Manager instructor for Houston Apartment Association. Designations that Christian currently holds include his National Apartment Leasing Professional, Certified Apartment Manager and Certified Apartment Portfolio Supervisor through the National Apartment Association Education Institute. He has his Accredit Residential Manager designation through the Institute of Real Estate Management and is a Certified Property Manager candidate. Christian's accolades extend beyond his Houston region. He was the 2015 Texas Apartment Association Professional Designate of the Year as well as the National Apartment Association PARAGON Award: CAM Designate of the Year. He will be recognized at the NAA Conference in June as the 2016 National Apartment Association Excellence Award: NAAEI Professional Designate of the Year. Pinnacle Property Management Services, LLC, ("Pinnacle") is a privately held national real estate provider specializing in third party management of multifamily residential communities. As one of the nation's preferred third-party managers, Pinnacle's portfolio includes approximately 147,000 residential units and 2.1 million square feet of commercial assets. With the Corporate headquarters located in Dallas, Texas, Pinnacle has over 3,500 employees located in 26 states. For more information, visit www.pinnacleliving.com.